Payasam or Kheer is Indian Traditional sweet pudding relished at all auspicious occasions, celebrations or anytime favourite treat! Santhas Payasam is a quick Indian Pudding made traditionally using whole milk or replace with coconut milk for authentic flavour. The sweet scent of Santhas Payasam is from richness of clarified butter roasted vermicelli, sago pearl, raisins and cashew nuts. 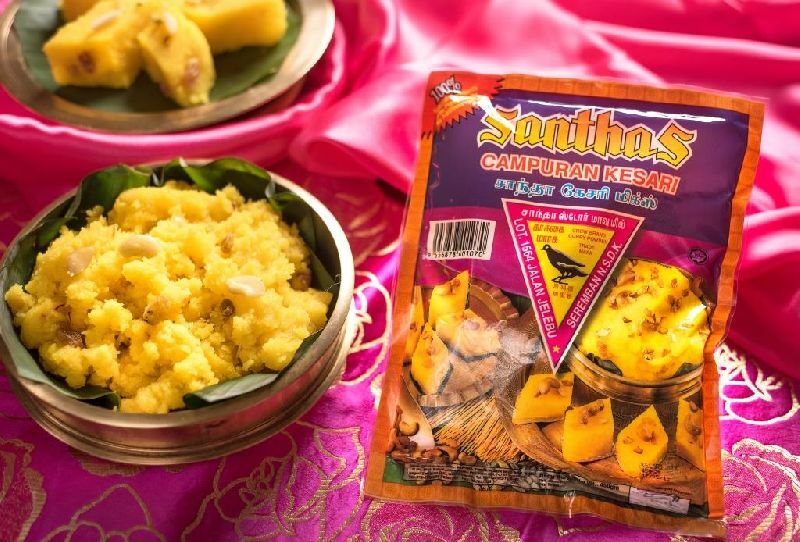 This classic dessert can be made in a drop of rose flavour extract, bit of crushed green cardamom, handful of boiled chana dhal, saffron, few spoons of condensed milk for rich creamy pudding. Santhas Payasam available in 450 gm pack. This creamy sago pearl tapioca and vermicelli pudding, its great desert for anytime favourite.